For your convenience CK TIG torches are listed by Amperage Rating with a brief description-- more info, and a complete list of accessories is available by clicking on the product icon. The CK-130 series is the most popular air-cooled torch for 80% of all general purpose TIG welding applications. 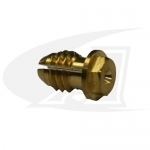 They are small, light and powerful with short gas nozzles designed for general purpose jobs, and are perfect for light-duty, and hobbyist applications where torch control is critical. The CK Flex-Loc™ series with interchangeable heads are extremely versatile with 2 head style options. The CK-150, and CKC-150 Contractor series torches are for continuous-duty and construction applications, with long gas nozzles designed to lay a root weld in pipe applications, and can be awkward for light-duty applications. 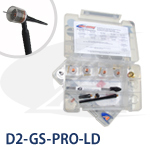 The Trim-Line™ series are the smallest most powerful TIG torches avalable. Specialty torches like the CK-MR70, CK-80 series micro torches are design for specific applications, and should be considered as an optional or back up torch. 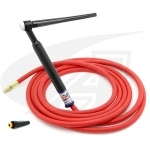 Note: TIG torch packages include the torch body, handle and cable, and in some cases a back cap. 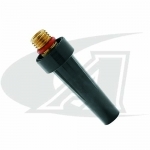 TIG torch packages are AWR™ (Almost-Weld-Ready™), if you do not have front-end parts, or a machine connector, you can select the individual items from the list inside each torch models category icon. Arc-Zone offers Pro Torch Packages™ that are WR™ (Weld-Ready™) with front-end parts installed. If you do not have a machine connector, you can select one from inside each torch models category icon. 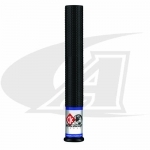 Additionally, you can further outfit your torch by selecting a Pro accessory parts kit.